Drawing room is a space where people dwell in, it is specially constructed for guests. Drawing room is a place where your guests get entertained and talk to one another. You can have a general conversation or serve casual drinks and snacks. The drawing room must be designed beautifully as it makes a great impression by your guests. It should be decorated with furniture and decorative items. 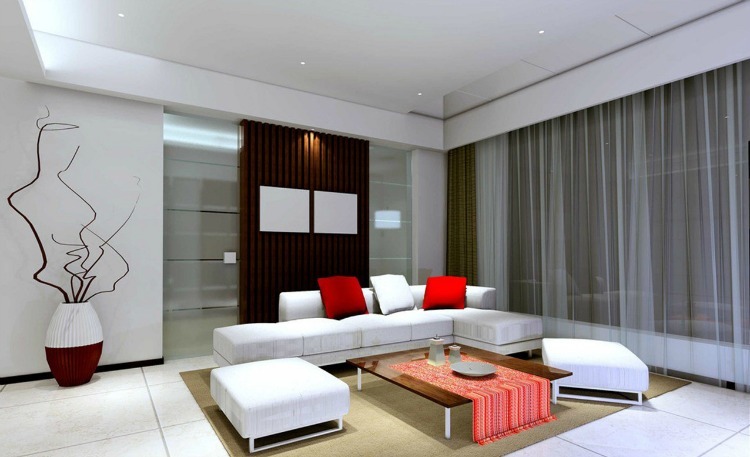 A drawing room generally consists of couches, chaises, coffee table and television and it is based on your interest. The interior can be decorated with the closets, paintings, wall art, fabric textiles which gives a charming look. Here are some images to give you an idea that how to design the interior of a drawing room elegantly. Here elegance describes the style and its beauty with simplicity. 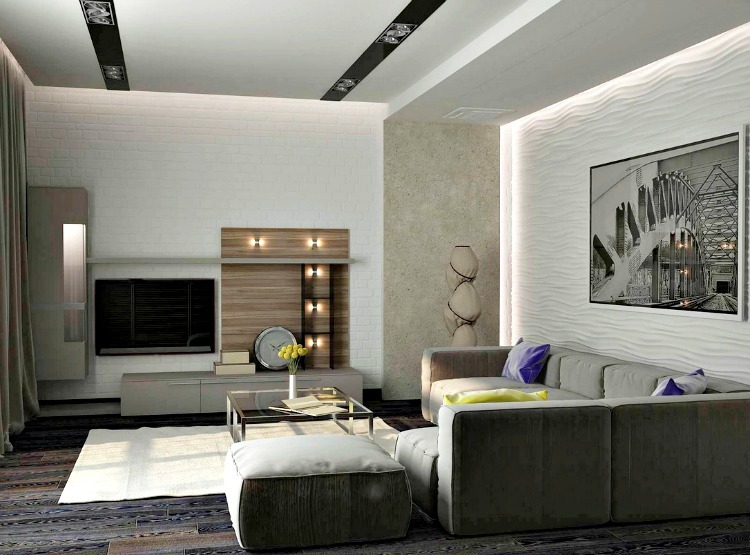 It is not necessary to have a drawing room in a home but if your planning then you can move on with these designs. Generally people uses living room as a drawing hall. In the view of the image you can see a elegant drawing room. It is decorated with snowy white interior and drop out ceiling with massive chandelier. The flooring is made with ceramic tiles and has a carpet laid on it. The room has grey couch which is attractive with the colorful pillows. It also has a chaise, two chairs and a pretty upholstered centre table decorated with the candle holders. The wall are decorated with a abstract oil painting and ikea gallery art. The room has indoor equistem ornamental plants which gives a pleasant look. The room has a night stand with a vase and lamp on it. This drawing room of elegant style is roomy. The room is decorated with the stone cladding with earthy cream and the false ceiling is dry wall ceiling with the light fixtures. The room has couches for seating and more number of people can be seated. It has two leather hassock and a large coffee table and can be used for serving. The flooring is laminated with wood and has a striped colorful carpet. It has ornamental plants such as palm tree and flower pots on the table to create dramatic effect. The room has fireplace in the stone cladding to keep the room at optimum temperature. The drawing room in this image is fab and elegant. The room is decorated with the beige soft color and has wooden wall cladding and closets decorated with the books, display items and vases on it. The sofa is ultra modern and is comfy with a centre table. The room has draperies and a wooden partition. The room has casement windows to view the exterior and the flooring is made of plain vinyl flooring and has a plush carpet on it. The false ceiling is a drywall ceiling which is plain. In the view of the image you can see a scandinavian style of interior which is decorated with snowy white and beige soft colors. The room has dry wall ceiling with drum type chandelier and light fixtures. The room has a large seating arrangement with the modern couches and bright textured pillows on it. The flooring is made with striped hardwood and has a eye catching carpet on it. The room has a dark wood coffee table decorated with the flower pot and a wall art. It has double hung windows to get natural air and has night stand with lamps. The drawing room has leather sofa, chair and chaise which makes the room elegant. The flooring is made of hardwood and has a smooth saxony carpet on it. The room has a coffee table made of leather and glass decorated with the display items. The room has gallery art and has glass windows for external view. It has night stand decorated with lamp and flower pots and the windows are covered with the tab top draperies. The room has dry wall ceiling with simple light fixtures. The image is a elegant drawing room. The interior is decorated with the brick wall cladding and wooden panelling with hidden lights. The Tv unit is mounted to the wall cladding and has a closet to decorate display items. There are cabinets under wooden panel. 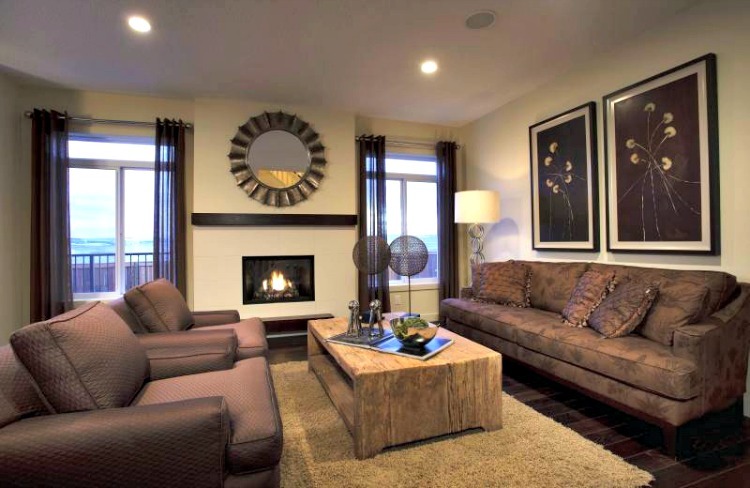 It has modern couches and pouf for seating and can get entertained by the television. 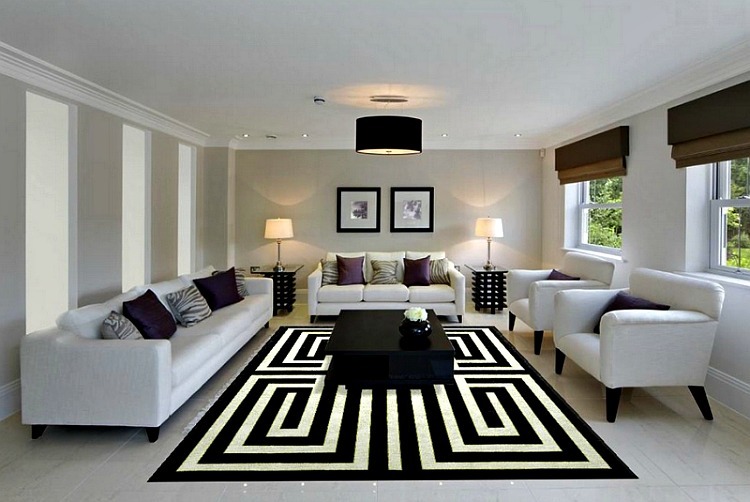 The flooring is made of black wood textures and has a smooth shaggy carpet with a glass coffee table. The interior is decorated with a painting and thick draperies with a cozy look. in the view of the image you can see a drawing room. The room is decorated with the light colored interior and has wall art mounted on the wall. The flooring is made with the laminated dark hardwood with a plush carpet on it. The couches are made of leather and has a wooden centre table decorated with display items. The wall is a dry wall ceiling with simple lights. It is decorated with gold accents antique mirror and has a fire place. The windows are casement windows and are decorated with the sheer draperies. The drawing room looks fantastic and makes a great impression. The false ceiling is pop ceiling with hidden lights and has simple light fixtures and massive crystal chandelier. The wall is decorated with wooden cladding and tv is attached to it. The flooring is made of ceramic tiles and is glossy. The windows are casement windows decorated with sheer curtains and tab top curtains. The room has ornamental plants which gives a fresh look and has a staircase. If you are looking for a elegant drawing room here is a beautiful interior of a drawing room. The drawing room looks modern and elegant. The room has a suspended ceiling with the light fixtures and the interior is decorated with sheer curtains. The room has glass and wooden cladding which gives alluring effect. There are modern couches with the crimson red cushions and leather stool. The room has a wooden coffee table used for serving and has a carpet laid on white ceramic tiles.This drawing room is apt if you like elegant interiors. 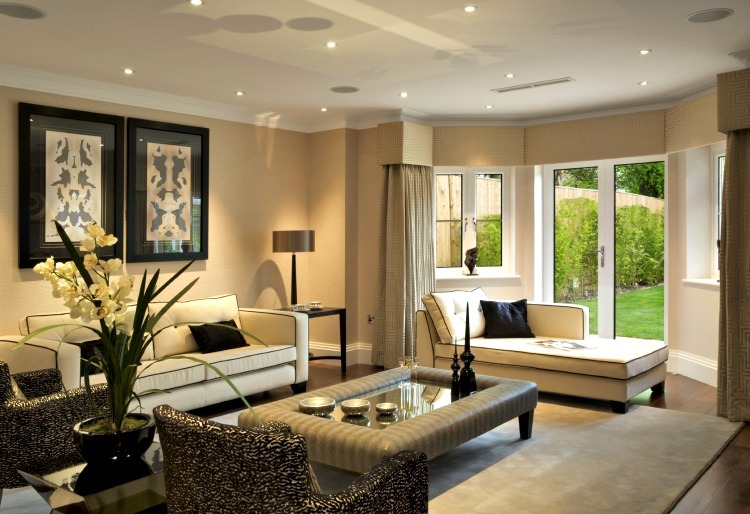 This is a simple drawing room which looks elegant with sofas. The interior is simple and has lawson couches with patterned cushions. It has a round table with decorative flower pots and has closet made with wood to store the accessories. 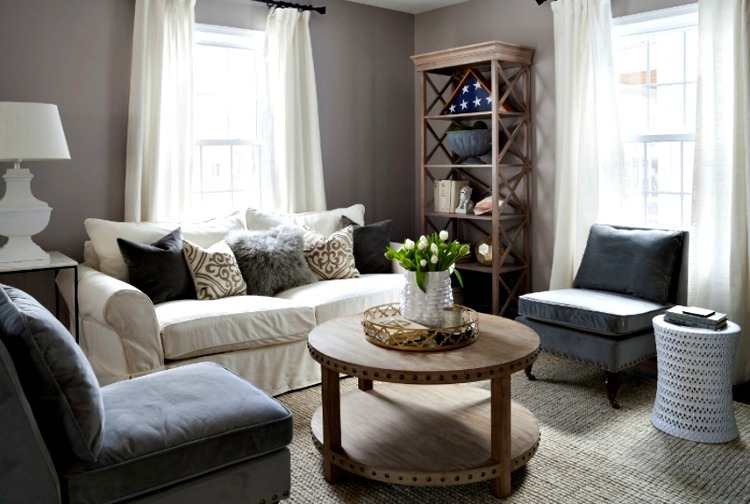 If you have small space this design can be chosen. The room has casement windows covered with valances and a night stand with the lamp. The flooring has a jute knitted rug.